Jan 8 1861 Baton Rouge LA "Daily Advocate" The following rules for rearing children deserve the attention of every man and woman: I. Children should not go to school until six years old. II. Should not learn at home during that time more than the alphabet, religious training excepted. III. Should be fed with plain, substantial food, at regular intervals of not less than four hours. IV. Should not be allowed to eat anything within two hours of bedtime. V. Should have nothing for supper but a single cup of warm drink, such as very weak tea of some kind, or cambric ta, or warm milk and water, with one slice of cold bread and butter--nothing else. VI. Should sleep in seperate beds, on hair mattresses, without caps, feet first well warmed by the fire or rubbed with the hands until perfectly dry, extra covering on the lower limbs but little on the body. VII. Should be compelled to be out of doors for the greater part of the daylight from after breakfast until half an hour before sundown--unless in damp, raw weather, when they should not be allowed to go outside the door. VIII. Never limit a healthy child as to sleeping or eating, except at supper but compel regularity as to both. It is of great importance. IX. Never compel a child to sit still, nor interfere wtih its enjoyment, as long as it is not actually injurious to person or property or against good moralls. X. Never threaten a child. It is cruel, unjust, and dangerous. What you have to do, do it and be done with it. XI. Never speak harshly or angrily, but mildly, kindly, and when really needed, firmly- no more. XII. By all means arrange it so that the last words between you and your children at bedtime, especially the younger ones, shall be words of unmisxed lovingness and affection. from "1,001 Things Everyone Should Know About American History"by John A. Garraty p. 147 #807 "The Embargo" 1808 by William Cullen Bryant intemperate attack on Thomas Jefferson "Go, wretch, resign the presidential chair" composed when Bryant was 14, to his later embarrassment. Col. WP Robinson was born Feb 20 1826 in Carlisle, Nicholas county KY. He fought in the Mexican War and was wounded at Shiloh April 6 1862 during the Civil War. He was raised by his maternal uncle 3 years after his mother's death and again after the death of his step-mother. He immigrated fall of 1854 with his family to Washington Co, IA. In Spring 1856 came to Harrison Co, MO, farmed and taught until the War broke out in 1861. He moved his family to Sangamon county, Illinois while he fought. Learned the tanners trade while young, conducted "Harrison County Press" a weekly paper about six months, was a Deputy County Clerk, probate judge, and county clerk. Robinson,William P. Col of 23rd Reg of Inf Mo Vol...enrolled 7 June 1862. discharged 22 Sept 1865 at Atlanta GA by reason of expiration of service, born Carlisle,KY, 38 years of age, 5'9", fair complexion, hazel eyes, dark hair, farmer, recorded Oct 12 1898. Bryant burials. The Miriam/I.O.O.F. Cemetery was established 1870.located in the northwest portion of the city of Bethany and is generally considered the city cemetery. The original Miriam Cemetery dates back to 1850. BRYANT May L 1891-1973 same stone with William P.
born Bethany 1870 died 1943 Miriam Cemetery married 1890 Carrie E Howell 1873-1951 Miriam Cemetery. He farmed in Cypress Township, 5 years in the grocery business, county judge 1904-8m 377 acre farm. James G. Bryant born Feb 19 1829 died Aug 1 1870 41y 5m 11d Antioch Cemetery. Married Mary L. Butcher died June 29 1906 aged 77y 11m 23d buried Antioch. page 298 "In March, 1871, J.G. Bryant, of White Oak Township, was killed by the falling of a tree." They had 11 children, but only 3 lived to maturity. married Rachel Sims of Nicholaus County, KY Aug 31 1848. she died June 5 1865. William P Robinson born Feb 20 1826 died in Manhatten, KS Monday, June 20 1904 aged 74y and 4 month. Funeral services will be at the Christian Church, Bethany MO Thursday June 23 1904 at 2:30 o'clock p.m. conducted by Eld. M.M. Goode of St Joe, assisted by Rev. W.J. Willis and Rev. J.B. Youngblood with prayer by Eld. R.W. York. Burial Mirian Cemetery. One of the younger men in Harrison County who have shown sucessful ability in business affairs and have also made themselves useful in a public way, a son of Joseph F. Bryant, a prominent Northwest Missourian whose career is sketched at length on other pages of this work. John Brown Bryant was born in Bethany MO Aug 20 1870 and has spent most of his life either in the town or the close vicinity. His education came from city schools, supplemented by attendance at Woodland College in Independence MO and a commercial course in the old Stanberry Normal. His business career began at age 20 in the Cottonwood Valley National Bank at Marion, KS where he remained 2 years. He returned to Harrison County to take up farming, and was known as a substantial farmer for 15 years. While on the farm, in 1904, he was elected a member of the county court from the south district as successor to Judge Taggart, re-elected in 1906. Judge Miller was presiding judge and his associates in the administration of county affairs were Judges Alley and Tucker. During those four years the busied themselves beside the routine affairs with repairing bridges of the county destroyed or damaged in the noteable flood of that time. They also improved the county farm, adding more land and constructing a substantial barn. Besides his work for the county Mr Bryant was also a member of the Bethany school board for a number of years. Having given up farming and moving into Bethany, Mr Bryant became interested in merchandising as a grocer for three years, and them became a partner in the company of Walker, Bryant, & Company until they sold out to Chambers & Davis. Since then his business has been real estate and insurance, he is also secretary and a director of Bethany Savings Bank. Since leaving the county board he has taken only a nominal interest in politics, but still classifies as a Republican, the political faith in which he was reared. His fraternities are the Masonic, Independent Order of Odd Fellows, and the Knights of the Pythias. 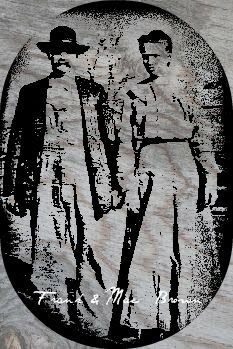 In Harrison County on Dec 23 1891 Mr Bryant married Miss Carrie E. Howell. Her father was the late Judge John C. Howell, who died while on the circuit bench including Harrison County. Judge Howell was born in Morgan county, Illinois, Aug 13 1833, and died at Bethany, Sept 29 1882, and has been identified with northwest Missouri since childhood and for many years was a notable figure in law and politics. He was one of two children, his sister being Mrs Carrie Carson. His father was a Kentuckian but settled in Illinois, and on moving to Missouri first lived in Clinton County, but in 1847 went to Gentry County, where Judge Howell grew up. He completed his education at old Bethany College in what is now West Virginia, an institution founded by Alexander Campbell. After entering law, he found himself rapidly promoted in favor and success, and as a democrat was elected to the circuit bench before the formation of the district in which Harrison County is now located. He was a Mason and a member of the Christian Church. Mrs Bryant is the only child of Judge Howell's marriage to Belle Brown, who was born near Monroe, Wisconsin, and died at Bethany. 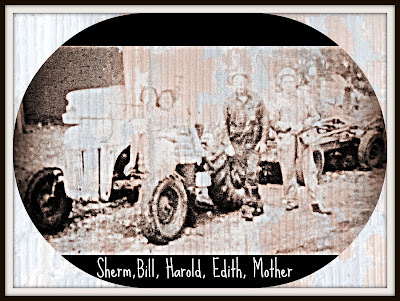 Mr and Mrs Bryant have two children, Marie, who graduated from the Bethany High School in 1913, and Helen, now in one of the grades of the Bethany public schools. "Direct Descendants of Thomas Bryant"
Steven Bryant Jr married Sarah Shell, a descendant of John Alden, Pilgrim Father. Their son James Bryant Sr born Plymouth Rock 1680 and moved to Manikentown, VA.
JAmes married Clara Tradue, widow of Anthony, their only child, Thomas, was killed at Guilford Court House, 1779-Revolutionary War. He was a lieutenant. 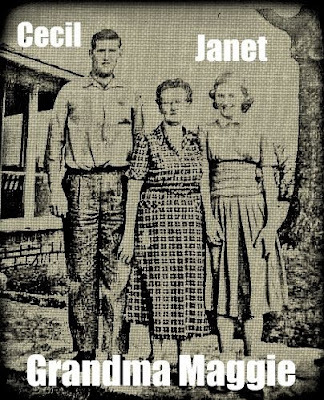 James Bryant JR married James Guerrant, June 11 1758 Maniketown County. 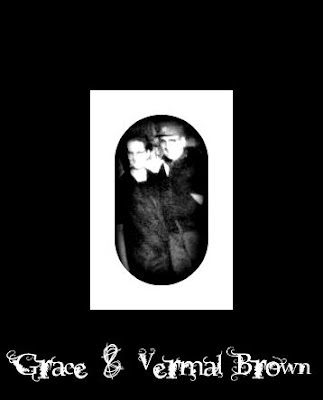 James Bryant, Jr. and W.G. Bryant were privates in Battle of Guilford, Revolutionary War. in courthouse by Scott and Luther Bryant. Clayton Co, Illinois. Thomas born Montgomery County, Indiana June 19 1843 son of David R.
married to Jennie Bumgardner-daughter of David-who died Jan 10 1874 Harrison County. Indiana until March 1873 when he bought a place in Harrison County. His father died July 1880, settled in Montgomery County, Indiana in 1839 and married in October, enlisted 51st Illinois Infantry. 1870 came to Harrison County and lived in Butler County until his death. father and son, arrived at Salem Massachusetts direct from England, 1640. Son's children were Joseph, John, Abigail, Ann. One of the sons married a Bryant from Plymouth. they were married about six months after he returned from the Civil War. They met in 1860 when she was between 11 and 12 and he was a little past 20. She was a regular student where he taught school. "Excepting her grey eyes, she is as near her father, mentally and physically, as a woman can be like a man..." quote W.T. Foster. 3. Lulu E. born Aug. 1 1871 Gallatin, MO married W.G. Beck of Portland Oregon. No children. Zoe was born Feb. 25 1899. Her second marriage was to John Bailey. "Jonathan M. Bryant married Elizabeth Hultz Jan 14 1867"
He fought for the Union in the Civil War and was a highly respected citizen of Harrison County. He was a noted singer and teacher of vocal music, very active member of the Christian Cambellite Church, owned 600 acres of splendid farmland and a large amount of livestock. Came to Missouri from Indiana 1855.
born Feb 11 1837 died Feb 11 1901 age 64y7d. buried Oaklawn Cemeter. Married Miss Elizabeth Miller of Bartholomew county, Indiana, Oct 1 1857. He was orphaned at age 8. Apprenticed to his guardian Elder Hopkins at age 12 to the tanners trade which proved uncongenial. Enlisted Aug 6 1862 in Company H, 12th Indiana Infantry. Served 26 months, most of the time as clerk and hospital stewart, but twice as a prisoner and participated in the Battle of Richmond. 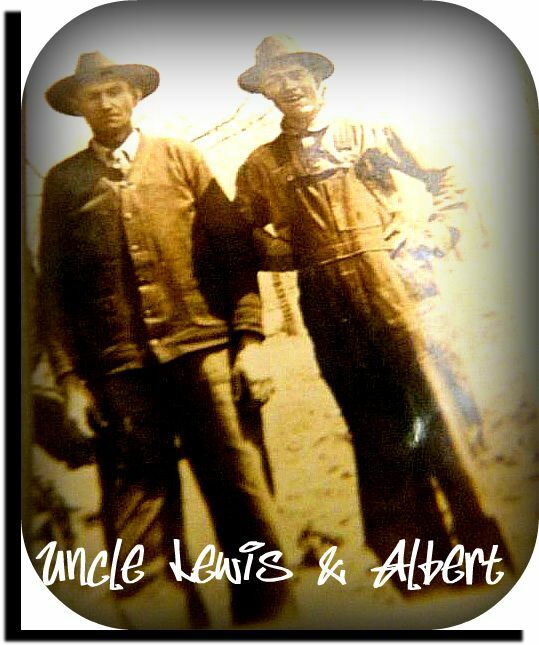 Worked in a brickyard and on his brothers farm from age 12 or so until 1856. The brother came on to Missouri and William worked as a farmhand at Hartsville until Oct 1 1857 when he married Miss Elizabeth Miller, a native of Bartholomew County, Indiana, where her father is still engaged in farming at age 87. William remained in that county, engaged in farming and reading medicine until 1862, when he was in the war. in 1865 he immigrated to Mt Moriah, MO where he spent 3 years practicing medicine, which he had studied before the war in Indiana. July 9 1868 he came to Cainsville, MO where he has enjoyed a lucrative practice for almost 2o years, his territory extending over Harrison and Mercer counties. He was a justice of the peace, notary public, and pension attorney, draws a pension of $8.00 per month. Elizabeth died Feb 24 1892 age 61y10m Oaklawn Cemetery. HISTORY OF MISSOURI ILLUSTRATED 1888 didn't mention Frank. "Jessie, daughter of W.D. & E. died Aug. 13 1899 age 24y8m"
"Josie Bryant, age 24y8m died Aug. 13 1884. seamstress. single. born Indiana. in Missouri 19 years. buried Oaklawn Cemetery, Cainsville." Bryant Benjamin R. salesman W & H Glenn bds. 57 Massachusetts Ave.
Bryant Benjamin surveryor with William Henderson res. 57 Massachusetts Ave.
Bryant J.m. carpenter Kregelo, Blake, & Co.
Bryant James M salesman VV & H Glenn bds. 57 Massachusetts Ave.
Bryant Wm. A. bds 57 Massachusetts Ave.
"The facilities for acquiring a thorough business education at this School have been increased until now unsurpassed. The room is one of the largest and best ventilated in the west, and in addition to the teachers formerly connected with the School, we expect to secure the services of a gentleman who has had over twenty years' experience as a merchant and active business man. The regular lecturers hereafter will be Dr R.T. Brown, Geo. K. Perrin, Esq., John Coburn, Esq., and the Principal, each of whom are well known. The large number graduating at this school the past year has far surpassed every expectation, while nine-tenths of them are in good business, and fully establishes the assertion that it is not only the cheapest, but the most thorough School in the west. Each pupil, on bearing satisfactory examination, will receive a Diploma that is acknowledged to surpass any in the Union. The original design of which (may be seen at all times at our room) cost us months of labor. The course of studies embraces not only Book-Keeping, but all the connecting branches, such as Penmanship, Mercantile Arithmetic, Mercantile Correspondence, detecting counterfeit Money, & c., with daily lectures on Merchantile Law, and such subjects as are essential to every man. Terms for complete course, with right of reviewing at pleasure, $25 00. Vacation from July First to September First. The undersigned being personally acquainted with Prof. T. J. Bryant, and his general character as a Teacher and Penman, feel satisfied that he thoroughly understands his business, and will accomplish all he promises; and we cheerfully recommend his Institute to all who wish the aid of an experienced teacher, or to acquire a complete business education. Daniel McClure, Sec'y of State. John W. Dodd, Auditor of State. Aquilla Jones, Treasurer of State. Wm. B. Beach, Clerk Supreme Court. Gordon Tanner, Rep. Supreme Ct.
N.B. any scholar who has completed his course with me, and has not received all I ever promised, will have his money refunded on showing that the fault is mine. in 1833 they moved to Indiana, made their home in Bartholomew and Decatur Counties.. Thomas died in the latter, having been thrown from a mule while looking over his extensive business. Nancy survived him by 5 months. They are buried side by side on the old homestead. Thomas was a nephew of ex-Governor Owsley of KY and both are descendants of a well-known and highly respected family, both are natives of Garrad Co, KY.
he immigrated to KY 1783.
resided in Powhatten Co VA when he entered the VA troops. volunteered in May 1780 and served three months. engaged in Battle of Guilford. Enlisted summer 1781, orderly sergeant six months. his sisters were Mary Meyers, Keziah K. Brady, and Elizabeth Hall. removed to Illinois 1831. married June 7 1833 at Norton Mass. to Harriet Eliza Wiswall born Sept 14 1808.
married May 13 1834 Julia Everett, daughter of James Everett of Cummington. married Jan 11 1821 Frances Fairchild, daughter of Zachariah, of Great Barrington, born March 27 1797. William Cullen Bryant, the celebrated poet, is one of the editors and proprietors of "The New York Evening Post". He was also a lawyer. The first general collection of his poems, according to "Cyclopedia of American Literature" was published in 1832, at New York. Since then, many editions have appeared. Son-in-law Parke Godwin is a well known writer who is associated with William as editor of the "Post". from The Trials of Mrs. Lincoln-the harrowing, never-before-told story of Mary Todd Lincoln's last and finest years by Samuel A. Scheiner...unlike the doctors in Chicago who made fun of her for being in touch with people who could not be seen, Mr Lincoln took a serious interest in the seances shes attended after Willie's death and sat in on them with her when they were in the White House. He was aware that other men of intellect in America like ....William Cullen Bryant....made earnest attempts to get in touch with the spiritual world. I am fascinated by Abraham Lincoln and have read many books about him...and since he and William Cullen Bryant lived in the same time period, I will find mention of him in some Lincoln books. But not only did they live in the same time period, they actually met! William introduced Lincoln at a speech he did in New York! was a physician and settled at Cummington, Mass. He married in 1792 Sarah Snell, daughter of Ebeneezer and Sarah (Packard) Snell. She was born at North Bridgewater April 6 1776. The children were all born at North Bridgewater. married 1757 Silence Howard, daughter of Abial Howard. She died June 25 1777 and he married Hannah, daughter of Benjamin Richards. She died Feb 18 1816, age 84, adn he died Dec 19 1816, age 80. children, all by his first wife. died Nov 22 or 27 1759 age 60 at North Parish of Bridgewater. His wife Ruth died March 27 1777 age 75. Steven Bryant came to Plymouth Colony from England in 1632. Son of Thomas. Steven married Abigail, daughter of John Shaw, who also came from England in 1632. Steven's childrens births were recorded at Plymouth from 1650-1665. Land purchased in his name May 5 1863.
iv. Melvin B. born July 12 1913 was an undertaker in Bethany MO. Mr and Mrs Bryant lived in Bethany. H.O. Bryant started the first regular hotel in Mt Moriah about 1860, was the postmaster there, the county clerk of Harrison County 1864-41866, treasurer Bethany City Government. son of James Bryant & Jane Guerrant born Jan 01 1760 in Cumberland Co VA died July 4 1833 in Lancaster, Garrad Co, KY. He married Mary Owsley May 25 1786 in Stanford, Lincoln Co, KY daughter of Thomas Owsley and Mary Middleton. John served 15 months as a private and sergeant under Captain Hughes and Porter and Colonels Nelson, Randolph, and Goode as a volunteer in the Virginia line. At the time of his 1st enlistment May 1780 he was a resident of Powhatten Co, VA. was in the Battle of Guilford March 15 1871. after the war he was awarded a land grant in Kentucky. He went there as a civil engineer, one report stated he was with the survey party of Daniel Boone. Bryantsville, KY may have been named in honor of John Bryant. There is a Bryant family cemetery in Bryantsville. His great grandfather Jacques Briand, was born in LaMilliere, France, and came to the Americas sometime before 1700 to settle with other Huguenots in Manakin, VA. John Bryant served in the Revolutionary War. He enlisted in Powhatten Co, VA under Captain Robert Hughes. The company marched to Williamsburg under General Charles Scott, and then to Yorktown under General Thomas Nelson. His enlistment began in 1780. Pension File No. W8390. In 1824, John served as sheriff of Garrard Co. In 1803 , the old Sugar Creek Baptist Church was built on John's land. The Lancaster Christian Church was formed in the county seat , a few miles away on 8 Dec 1827. In 1831 , the Lancaster disciples began meeting in the Sugar Creek Meeting House. They remained there until 1835. Sometime later, the Sugar Creek Church was renamed, the Antioch Christian Church. John Bryant is buried with his wife and an infant daughter Elizabeth, in a private cemetery about 2 miles north of Lancaster, about 50 yards south of the intersection of Lexington Road (US 27) and Bastin Road. There are steps leading from the shoulder of the road up to the cemetery, as well as a large sign with John's name on it. The following is the text of a letter about the war record of John Bryant. 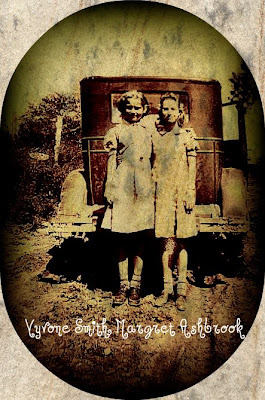 It was copied from"The Family Record of George Smith Bryant and Keziah Arnold Bryant and Their Family Histories." compiled by Maria A. Gregg, published 1901. In reply to your request for a statement of the military record of John Bryant a soldier of the War of the Revolution, I have to advise that he made application for pension on August 29 1832, at which time he was a resident of Garrard Co, KY and 72 years of age having been born in Cumberland County, VA on January 1 1760. His pension was granted August 22 1832 which he drew to the date of his death. He served fifteen months as a private and sergeant under Captain Hughes and Porter and Colonels Nelson, Randolph, and Goode as a volunteer in the Virginia troops. At the time of his first enlistment ,May 1780, he was a resident of Powhatten Co, VA. During the war he was engaged in the Battle of Guilford. He married Mary Owsley in Lincoln Co, KY on May 25 1786 and he died July 4 1833. His widow applied for and recieved a pension. From the data given it does not appear that his father James Bryant made application. However he does make mention in his declaration for pension that his second enlistment was a substitute for one James Bryant , though the relationship is not stated. My great grandfather was Joseph Francis Bryant. and his first wife, Rhoda Jane Manus , was my great grandmother. Stephen Ora Bryant was my grandfather, he was never married to anyone named MADGE. He was married only once, May 2 1900 to Blanche Snyder. At the time of the 1910 census they lived in San Diego, CA. He died in 1927, and is buried in Miriam Cemetery, Bethany, MO. Blanche Snyder Bryant is buried next to him. She died in 1971. I also answered the question you had about the two Bryant children in this same lot at Miriam Cemetery. These Bryants were descendants of an original French Huguenot family who settled in Manakintowne, VA. (Briands/Briant, etc.) They were not English. 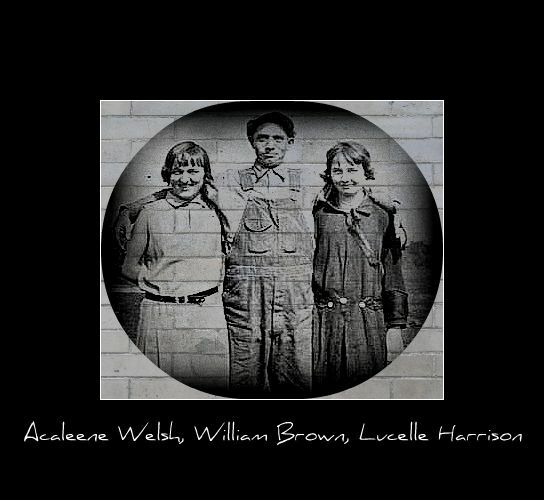 This website below also lists the 15 children of John & Mary Owsley Bryant. My ancestor in this list is James Guerrant Byrant. 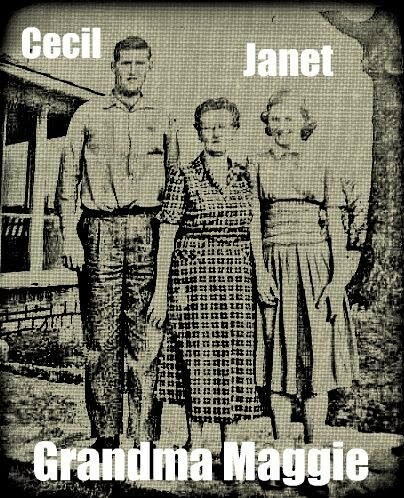 Middle name was his mothers name. There is a mistake in this information as their son, Daniel, as listed, should be Daniel G. His middle name was also Guerrant. Deb, are you Tallulah Jane? You have posted several items on your blog about the Bryant family. Are you related? My 4th great grandfather was John Bryant who married Mary Owsley. Mercer County Missouri School Ledger cont. Osborn Jno. Lucinda no age given. Craig Mel Mandy Craig 7 My Great Grandma Amanda! Bessie McClure no age given in 1889, age 7 1891, age 8 1892, age 9 1893, age 10 1894. "I've just started on the Boyds, although my older sister has researched them some. I'll keep your email on file and as I get more on them I'll be better able to answer your question. It sounds like it might be a match as Sanford came from Indiana and his parents came from KY. Hopefully we can "connect". John S. Boyd might be the connection as Davis City, Iowa isn't that far from Mercer co, MO where Sanford settled. I'll have to look into this. I'm copying my older sister Deb on this as she's done more of the Boyd genealogy than I have. Did any of your BOYDS came from Putnam Co, Indiana before Iowa. They married into my LANDES family as follows Any information appreciated. +Margaret Jane Taylor b.09June1813 in Warren County, Ohio m.24June 1830 in Fayette County, Indiana, d.16June1895 in Davis County, Iowa. +Susan Stella Stanley b.1862 in Westerville, Decatur Co, Iowa m. February 1886 in Decatur Co, Iowa d.11November1890 in Westerville, Decatur Co , Iowa. +Martha Tabitha "Bitha" Rogers m. May1892 in Lacona, Warren Co, Iowa. 3.Augusta Anker Landers b.09November1864 in Bloomfield, Davis County, Iowa, d.05December1946 in Search, White County, Arkansas. thanks for answering. I'm forwarding this reply on to my 'cousin' Linda who is directly descended from the BOYDS who married into our LANDES family. Our LANDES/BOYD families were from Greencastle, Indiana, also (Putnam county) so this looks promising to be a connection for Linda, hopefully! Sanford was born near Greencastle, Putnam County, Indiana; South of Indianapolis; he moved to Missouri when he was 9 years old. James Alfred Boyd was born at Cainsville, Harrison, Missouri. Should be a lot of cousins out searching. Let me know if you have more information. I am looking for info on my ggggrandfather, Andrew OSBORN. His children were Mary and John. John and his wife Amanda Alloway MCCLURE are buried in Hughes Cemetery. So I believe that Andrew must have settled in Cainsville or close by as my grandfather Cleo OSBORN was born there. also wondering where Hughes Cemetery is. Any help will be greatly appreciated. 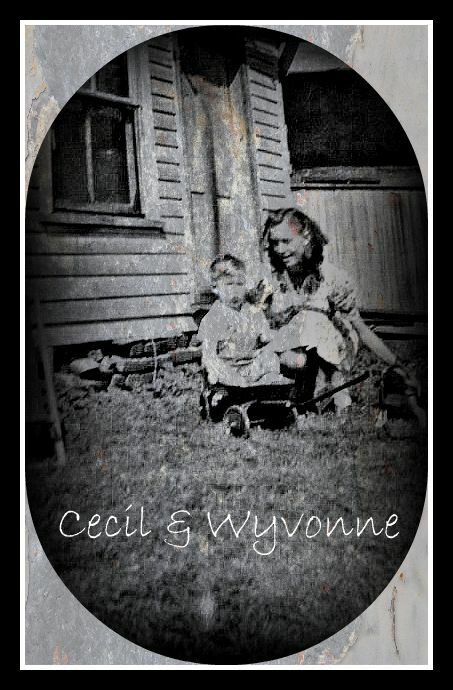 My grandfather Cleo OSBORN married Myrtle Ann JOHNSON in Saline, Missouri. You will probably notice the difference in the spelling of the Purks name throughout the pages. In the 1894 list it is spelled Purx. My Grandmother raised her family all over Decatur County, Iowa, and there were so many Osborns she never got her mail. So, she changed the spelling to Osburn, and later added an 'e'. I am wondering if that is the case with the Purks. This is copied from a School Ledger that was purchased by my Aunt Pat Osburne Bassett at an estate sale, in the fall of 2002, in Cainsville, Missouri. My grandfather, Cleo Osburne, was raised in Cainsville (Mercer County) and his name is on the roll in this book. In another section of this ledger, his mother, Alcinda Osborn was listed as a student, and Alcinda's father John Osborn is listed as one of the school directors! This was quite a find for my family. I have made every effort to copy this record as written. however, some pages are very faint, and the different years were recorded by different individuals, and some writing is hard to read. I know that there are errors in this ledger, because on some of the pages my grandfather was listed as a girl. But I will record it as written for these records! Hope others find their ancestors here. Source unknown, but I believe it is from a Decatur County, Iowa newspaper, of 1959. Earnest Lee McDaniel, oldest son of John B. and Mahalia Evans McDaniel, was born July 22 1893 in Eden Township, Decatur County, Iowa and passed away at his home in Leon, January 30, 1959, at the age of 64 years, six months and eight days. He served in the U.S. Navy during World War I. After receiving his discharge, he was engaged in farming. 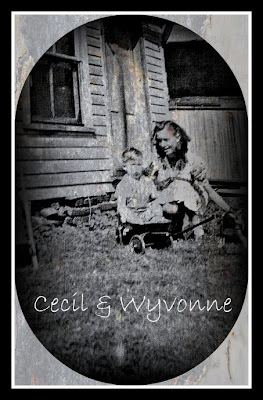 On February 28, 1920 he was united in marriage to Florence Williams, of Leon, Iowa. To this union two children were born, Walter, of near Leon, and Freda Mae OSBORN, of Davis City, Iowa. He leaves to mourn his passing his widow, two children, and eight grandchildren. They are Mahalia, Wayne, Gerald, Kathryn Ann and Carol Jean McDaniel and Marcia, Ramona, and Brenda OSBORN, of Davis City. Also one daughter-in-law, Maxine McDaniel, and one son-in-law, Lorraine OSBORN, of Davis City. All of which he dearly loved. Lee spent his entire life on the farm, except the time spent in the Navy, until the year 1951 when he and his wife moved to Leon, where he spent the rest of his life. He is also survived by three sisters and two brothers, Roy McDaniel, and Nellie Maynard of Leon; Minnie Dale of near Pleasanton; Edythe Dobson of Lineville; and Johnnie, of Augusta, Kansas; also several nieces and nephews. He was preceded in death by his father and mother, also one sister, Ora Richardson. He was a kind and loving father, and will be sadly missed by those who knew him. He was a member of the Grand River Lodge No. 78 A.F. & A.M. for 12 years and a charter member of the V.F.W. Post No. 3778 of Leon. Funeral services were conducted from the Stewart Funeral Home in Leon, Sunday February 1, 1959 at 2:00 p.m., conducted by George R. Lamb, Pastor of the Leon Assembly of God Church, and burial was made in the Leon Cemetery. The organist was Mrs. Freda Boies. The music was furnished by a male quartette. We wish to take this means to thank each and everyone who sent flowers, food, cards of sympathy, and comforting words. It will always be remembered. 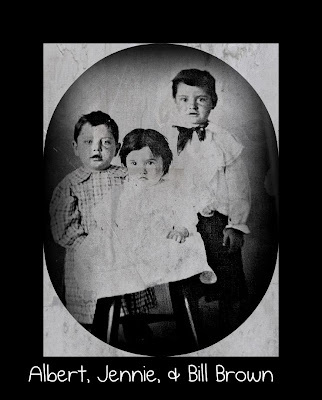 John was born June 9 1892, the third child of George Washington Shafer & Rose Ellen Oxford. He was known as Ross. He died June 9 1938 from diabetes. Ross was a WWI soldier & served in the trenches in France. He married Amanda Craig Oct. 10 1919. He enlisted in the Marines and was stationed in Camp Pendleton, Ca. Never got a furlough. He was killed in The Battle of Tarawa Nov 20 1943. 2. Mary Pauline born May 20 1922 died at her home in San Jose CA Dec 6 1992 from lymphoma. 4. Cecil Dean born Feb 14 1926 died Aug 8 1998 at his home in Princeton, MO. he had military graveside rites at Princeton Cemetery. Mary Axsom married Alvin Warren Beck Nov 30 1960. No children. He died Nov 13 1973 at the home of his brother-in-law Bernard, rural Modena, Mo. buried in Mt Moriah Cemetery in Kansas City, MO. Mary married Fred Johnson May 25 197_. Later divorced. No children. Mary is a nurses aide. Freeda Axsom married Jerry Haggard of Mercer Mo. June 6 1959 in Trenton, MO. Darla Haggard married Marcus Winegarden of Redding, CA May 3 1980. Mona Haggard married Randy Boyer of Redding, CA Feb 21 1981. They had twin girls born August 4 1981. Mona & Randy divorced in 1986, she married David Somers August 13 1988. Jerry Lynn Haggard is not married, works at Rodway Chevrolet in Redding, CA. Stacia Winegarden is also married. Their information should be elsewhere on my blog, it's just not here where I can easily plug it in. Bernard Axsom married Janet Mae Brown of Trenton, MO in Trenton June 2 1963. They postponed the small ceremony quite a while, waiting for his parents to arrive. He finally confessed he had gotten into an argument with his mother over pressing his pants or something, & they weren't coming. My mother has told me this story. I hope I am passing it on correctly! if not....blame me. same goes for typos! Debra (who used to go by Debbie & now is known as Deb) married her high school sweetheart Kevin Dailey Sept 28 1983 at the Mercer United Methodist Church, Mercer Mo. Their eyes met on a VICA school bus trip on Jan 7 1983 & the rest is history. Kevin has been a diesal mechanic, a Places Store Manager, a factory worker, worked in a feedmill, and now loads trucks at Hy-Vee. Deb has worked in fast food, long term care facilities, and has spent the last 16 years in pig barns at Premium Standard Farms. her father found her name in a baby book. She was going to be Stacy Lynn until right before she was born. Marie is for her great grandmother Marie Dailey Hass. KJ is a premed/biology freshman at Northwest Missouri State University, Maryville, MO. He moved twice when young, but always attended school at North Mercer R-III. He is named after our insurance agent, "KJ" Lewis. Karl is for his great grandfather Howard Karl Dailey. His great grandma Marie tells us there was also a Joseph in her family. Katie is in 6th grade at North Mercer R-III in Mercer, MO. she is our only child who has never moved. She has had some of the same teachers as her older brother & sister. Katie takes dance classes in ballet, jazz, tap, lyrical, musical theater, & clog at The Dance Studio in Princeton, MO. she has competed in Showstopper 2 years, will compete at her second Talent On Parade in April, her 3rd Worlds of Fun Festival of Dance in May, & her first City Stompers Clog in April. Last year she was selected to be a member of the Talent On Parade TOPSTARZ Junior Dance Team & spent a week in a hotel in Des Moines! Kevin named our first two children. I got to name Katie. She is named after the heroine of my favorite book: Gone With The Wind. Lisa Axsom graduated from Trenton Junior College in Trenton, MO( now known as North Central Missouri College) & Northeast Missouri State University in Kirksville (now known as Truman University.) She married Thomas Heiber Butler June 4 1994 in Belle, Mo. She & Tom built a house on his family farm 'down south.' Their address is Vichy, MO. Lisa has been a CPA, owned her own business, & now is a substitute teacher. Brenda Axsom graduated from American Institute of Business in Des Moines, IA. She is in a long term relationship with Jason Crabb and they have four children. They live in Chariton, IA. 1. Rachelle Kay Crabb born June 2 1996 at her grandmother Sharon's home in Derby, IA while the ambulance was on the way! John Axsom attended North Central Missouri College in Trenton, MO. he worked at the Grundy County Jail in Trenton, MO for years, and now works at the Jail in Kirksville, MO. Roger Axsom married Delores June Bruce Aug 28 1971. Later divorced. No children. He loved music and played the piano. Played clarinet in High School Band. He was a restaurant manager. Died of cancer Jan 12 1987 in O'Conner Hospital in San Jose, CA. Buried in Myrtle Section of Oakhill Cemetery in San Jose, CA. Junior Shafer married Katheryn Darlean Teas of Des Moines, IA, the only daughter of George & Cora Teas. Junior had a heart attack. He also had diabetes. He died March 8 1972. He was a WWI veteran. "Butch" Shafer married Judy ? and had George Ross and other children. "Butch" married and divorced a number of times. "Jim" Shafer married Marcia? had two children, then divorced. "Bill" married Susan ? a nurse, no children. She died. Karen Shafer married Frank ? and had children. Cindy Shafer has 2 children. Dean Shafer married Donanell Hampshire of Princeton, MO. 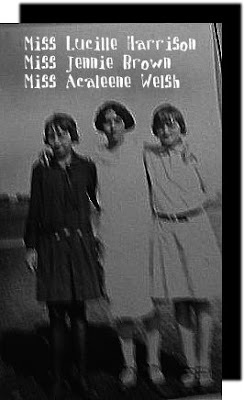 she has told me they met at Princeton High School, where she worked in the office & he was enrolling his younger sister Betty. He offered her a stick of gum. They couldn't chew gum at work, so she saved it for later. and when she opened it, it was empty! he was quite the prankster. Dean is a WWII veteran. Dean & Donanell divorced & he married JoAnn Sloan of Des Moines, IA. Dean & Jo were divorced and after Dona's second husband died, Dean & Dona remarried. Dean has diabetes. Dona Lynn Shafer married Ronald Hesseltine. Roy Dean Shafer had polio as a child. He married, then divorced. no children. Betty Shafer married David Leroy Ashley of Des Moines, IA in Des Moines June 2 19__. She died of cancer July 15 1988. She also had diabetes. Rodney Ashley married, then divorced. no children. Rosa Marie Dell Shafer born May 11 1896 died Aug 6 1927. Married Fred Willis of Cainsville. Had twin sons, not full term, not named. She divorced, then married Joe Milner. No children. married Charles Arthur "Hush" Cochran of Cainsville, Mo. he died in the 1950's. Lois Cochran married Lester Booth. Russell never married, lives in Cainsville. Oscar George Shafer born May 18 1901 and died in the 1970's. Married Edna Banks. Oscar & Edna divorced. He married Leta Ana Hancock. Oscar divorced again and moved to DeWitt, Ark. where he died in the 1970's. Eva Shafer married Harold Mathes. Wayne Shafer was raised by his aunt Inez & Uncle Bill Cantrell in Michigan. He married Ernastine Orbela and they had two sons. Wayne & wife later divorced. Clayton Shafer was raised by his mother and step-father Roy Willis. Nadean Shafer married a 3rd cousin, Gene "Jiggs" Oxford. divorced & married Dale Snelso. Lorene Shafer was adopted and raised by a family in Bethany MO. her name was changed to ? George Shafer married Roseanne ? and lived in San Jose CA until her death. no children. Julia & Cliffored Shafer were placed in foster homes and none of the family ever found out where they were. p.s. Rose Oxford Shafer (George's wife) had 4 sisters and 1 brother. brother Jake married and had William Roger "Punk" and Alma. Alma married Gilbert Boyd and had 1 son Gifford. "Punk" married Opal Bender. they had Vera, who married Max Kephard, Kathleen, who married Alfred Catley (or Katley? ), William Mc Don ________ "Buster", Leonard who married Marguerite Griffin daughter of Maurice & Phoebe Griffin, Mary Ann who died at around the age of 9 or 10, Rancel, Basil, D________, Opal May, and Marjory Fay, Sue. Ile, who married Clyde Taft, no children. "Sissy" who married Isum Purdun. They had Lloyd, who married Mary ? She got blood poisoning from a burn on her head from getting a permanent wave and died not long after their marriage., Mary, Ona, & William who never married. This information was written to the best of my knowledge March 1989. George Washington Shafer born March 22 1862-died Jan 21 1937. On dec 25 1882 he married Rose Ellen Oxford of Cainsville, Mo. She was born October 15 1868 and died May 4 1933. They had 3 sons and 3 daughters. 1. Orville Leroy Shafer who died of diptheria or strep throat around the age of 30. He never married. Archie died of smallpox & is buried in Colorado. Alpha married Peter Van Zuyen and lived in Idaho. 3. John William Ross Shafer born June 9 1892 and died of diabetes June 9 1938. He was a WWI soldier. He married Amanda Craig October 10 1919.
saw your website & I am descended from Edmon Shafer. I would love to learn more. 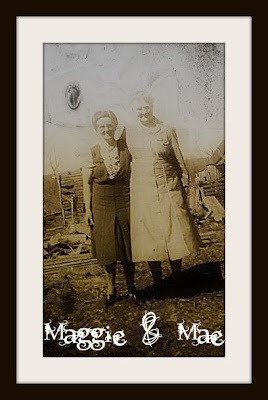 my great grandmother Maggie Webber pictured with Aunt Mae Brown. Lewis Brown was my great grandpa. 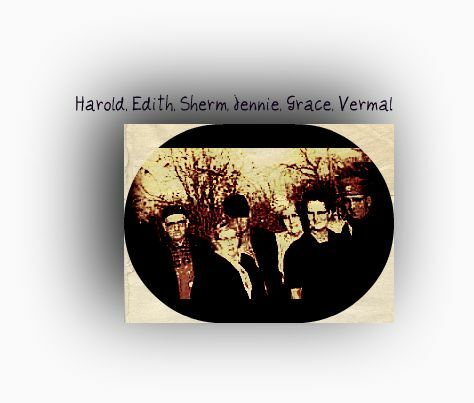 Harold & Edith Corbin, Sherm & Jennie Neill, & Grace & Vermal Brown. here I go with the picnik edits again...these are such great old pictures to work with! Mae is also spelled May on some pictures....how confusing!